Who Is Bradford City & Forest Winger Nialle Rodney? The Imps have signed Nialle Rodney a former Nottingham Forest trainee from Bradford City until the end of the season. Nialle was given a free by the Bantams earlier today, before haring over to Lincoln City in time to beat the transfer deadline. Mind you once he is on a run there is very little to stop the powerful pacey predator. Nialle Rodney is a very strong, quick and direct kind of frontman. 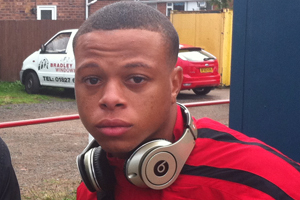 He made three substitute appearances in the Championship for Forest before being loaned to Ilkeston and Burton Albion. “He’s strong and quick and very direct, we wanted somebody who could bring a bit more presence and pace to the squad as I think we need a bit more athleticism. Peter Jackson signed him for Bradford City last July but he did not really get a look in, having to come from the bench in all 7 appearances. At the time Jacko told the BBC. “Nialle offers us something different to what we already have in attack. He’s a forward player with real pace and I think that is something we missed up front last season. Blackpool Striker Adds Vitamin C At Imps – Who Is Louis Almond? David Holdsworth has signed 20 year old Blackpool striker Louis Almond on a youth loan until the end of the season. The Tangerines striker has been on loan at Barrow FC, both last season and this, returning to his parent club only last month. So the two Cousins, who once led the line for the Dominican Republic will be lining up against Braintree this Saturday at Sincil Bank, with former Grimsby Town jewel Peter Bore and Conal the conjurer loading the guns. 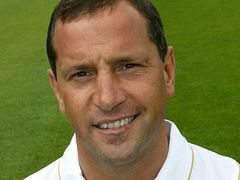 Brave calls by David Holdsworth, let us hope the faithful turn up to see the judgement. Confused? Well Jefferson Louis has signed and Richard Pacquette can’t wait to line up beside him as the Imps look to go 4-4-2. Here is our Who Is feature from 26th January……..
Jefferson is a big strong forward with an eye for goal and, although he is currently plying his trade in the Southern League Premier (2 below us) Brackley are top and looking good to get into the BSP South. Prior to that he was a Maidenhead with Pacquette and played the target man in a fruitful partnership. He can get goals at this level with 15 from 42 for Wrexham in their first season in the BSP. He got another Conference dozen in 2009/10 when he signed for an ambitious Crawley Town before going on loan to Rushden & Diamonds. So he wouldn’t be a stranger should he sign by Saturday. Brian Little took him to Gainsborough where he got 1 in 9 before Darlington took him on loan with a view to a permanent deal in the January. Upon returning to Trinity Little released him at the end of the season. He played a game for Weymouth, then Hayes gave him another chance in the BSP before releasing him in March 2011 at his own request. He promptly joined Maidenhead, who have been almost every other club for his cousin Richard ‘exocet’ Pacquette. Should a deal happen, we may just have stumbled upon a streetwise front two. The two cousins both hail from Harlesden, a hard inner London area to make something of yourself, to say the least. Family connections apart, Richard and Jefferson have already played together at both domestic and International level with the Dominican Republic. BSP defenders will not like these two in their faces for a full 90 minutes and even at 32 Jefferson is a handful. Reg Gets A Grimbarian – Who Is Peter Bore? Arguably unplayable on his day, ex Grimsby Town defender and right sided midfielder Peter Bore is an exciting signing. It is perhaps some surprise to see him languishing at Harrogate Town ( managed by ex Imp Simon Weaver) given he was a former player of the season in 2009/10 and turned down a new deal to trial and fail at both AFC Bournemouth and Shrewsbury Town. Many may question this signing but we have to remember the Mariners have had enquiries from Championship clubs for his services and fancied a decent fee for this lad a couple of seasons ago. They offered him a deal in the summer but he chose to chance his luck at the Cherries as a free agent. Bore came up through the ranks at the Mariners and he was popular with the Pontoon for the five years he spent in the first team. He played 4 times on loan at York City in 2008 before learning the hard way in a relegation season and the subsequent Blue Square adjustment last season. Peter turned down a new deal at Blundell Park this summer to try his luck in League 1 with Bournemouth but things did not work out there or Shrewsbury Town. Harrogate, an ambitious club run by father and son Irving and Simon Weaver, were quick to agree terms until the end of the season. Peter is very versatile. He began his career as an out and out striker before becoming a devastating winger who can also track back. He was used by Neil Woods as a full-back and wing-back in both the youth set up and the first team, due to an ability to turn defence into attack. On his day this lad is worth the gate money on his own. He wont have been cheap and this is a sign that the purse strings are being loosened. Blackburn Rovers have recalled Matthew Pearson from Lincoln City today, two months ahead of schedule. The 18 year-old had been due to stay at the Imps on a youth loan until April, not unlike also recalled Adam Smith of Leicester City, but a lack of games in both instances is believed to be at the route of the decision. Matthew made just two appearances for the Imps, both against Carshalton, at the heart of a young makeshift defence . The Imps elimination from the FA Trophy was yet another low and it cannot have been easy for him in a shell shocked dressing room. A surprise Gowling return from the cold has left Pearson on the bench as opposed to getting the regular match action he needs. Thanks Matthew and good luck. The Imps are hoping that Yeovil Town FC release 21-year-old right-sided midfielder Billy Gibson in timely fashion today, given the transfer window shuts at 11 p.m this evening. But could this suggest that Alan Power’s first-team opportunities could be limited after a somewhat hit and miss season since he and Sam Smith signed one year deals after the Rushden meltdown. Very little is known given Billy has only managed 8 appearances for the League 1 club after being offered a one year deal last May. Indeed, although very highly rated not to mention prolific in the reserves, he has started just 1 the League game for the Glovers this season with the remaining 7 all coming from the bench (2 FA Cup & 1 JPT). Last season also saw just 5 substitute appearances from a player who was released by Watford having progressed through the youth team admirably, averaging 4 goals every 10 in the academy side and notching a credible 3 goals from 6 outings for the reserves. Billy made just one sub appearance for the Hornets and despite a proactive half hour that saw him set up the only goal in the league Cup win over Bristol Rovers, he never got another lookin. 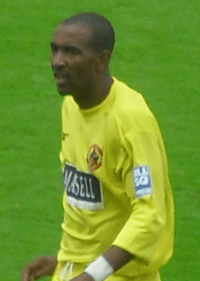 Watford loaned him to Wealdstone of the Isthmian Premier League in December 2009. He did get a brace for them in his second game – a local derby against home town club Harrow – but he did not do enough to extend the month long loan. Before we write him off as one of Reg’s potential duds, this lad does have something about him. More a traditional right midfielder than a winger, he will not only play as part of a bank of four, but give us more end product than Power or Russell, in terms of both goal threat and quality of delivery. Billy is also keen to support his full back and a big communicator on the pitch. He has done it in the reserves at both the Hornets and the Glovers, but can he now reproduce that form in the first team? Credit where credit is due well done Bob. Yes Lincoln City have managed to finally get rid of the Gavin McCallum albatross. With one day of the transfer window to go, this will free up some much needed cash for David Holdsworth to hopefully bring in two or maybe even three players before the window closes tomorrow night. Granted it does not give DH much time but if anyone can do it its him and he has been on the case since the door touched McCallum’s posterior this afternoon. Now for a bit of ducking and diving, bobbing and weaving – David Holdsworth Pimp our side. Hopefully the timely McCallum payoff is just the break we need to up the anti to land a striker or two plus a midfielder. Because make the right statement of intent, then put Braintree to the sword on Saturday and we might well see the start of a Bank bounce back. Forget the chicken feed – sow those Sincil seeds for we shall surely reap! The Imps have today waved goodbye to high earning ex- Hereford United misfit Gavin McCallum by virtue of one of those ‘by mutual consent’ agreements. Depending on how much the deal will have cost this should pave the way for a couple of inbound in time for the Braintree 6-pointer. McCallum has been a busted flush since arriving from the Bulls in 2010, making 53 League appearances and netting 6 goals. Along with Joe Anyon, he is one of the highest earners at the club , so this is good news. In the right side Gavin could be a great impact player, but is that an expensive luxury that football can no longer afford? AA: One lost, one missing. Andrew Abbott gives us his take on the Kettering Town V Lincoln City game. 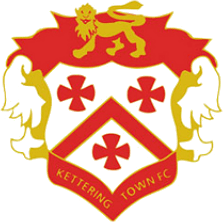 The mini revival, such as it was, is over and that flat feeling returns, City unable to gain anything from the visit to Irthlingborough, temporary home to Kettering Town. Talking of temporary, those points may be returned if the Poppies are unable to see out their fixtures although that would be scant consolation and as football fans we wouldn’t want to see that fate befall another club. Yet another penalty, this time Richard Pacquette the miscreant, a little harsh those who were present believed and a lot harsh thought Pacquette. The Imps did not possess the fire power to convert the chances created although Joe Anyon was doing his valiant best to avoid any further falling behind. “I’m disappointed and shocked. I can’t believe we’re going home with nothing after the chances we’ve created. “I felt it was a soft penalty against us and I felt we should have had one for a foul on Richard Pacquette. “The attitude was right and the set-up was right, you can’t take any team lightly and we certainly didn’t, but if you keep missing chances it can cost you and it did. No midweek game this week so we can indulge ourselves in speculation as to Gavin McCallum’s situation. At a time when City are painfully short up front, McCallum, Holdsworth told the BBC, was at home. Clearly the player is not in the managers plans for the future, Holdsworth confirmed that much. Further attempts by the BBC’s reporter to elicit information were met with one word answers, usually no. Is this the price the player is paying for that misdemeanour the other week? Josh Gowling seems to have rehabilitated himself and Joe Anyon, whatever he did, is back in the team and earning praise from his manager for his attitude. Is attitude the problem with McCallum, as far as the manager is concerned? Chances are we won’t get an answer to that one, not much of one anyway. Will Lincoln City Holdings Give Reg Some Wedge? Grimsby Town and Mansfield Town have turned us down, with Duffy and Adams too rich for David ‘Reg’ Holdsworth’s blood along with half a dozen others it seems. So despite the Q & A on both the official club and this is Lincolnshire web sites, one thing seems pretty obvious; behind the headlines, there is very little real information and, perhaps even more alarming, less inclination to put funds into the team than there is to secure the bricks and mortar. Is the survival of the football club more important than the performance of the team? Because off field priorities, Championship facilities and sound byte leadership from two chairman is certainly bringing our team and our club to its knees. While the fans attention is being diverted by headlines suggesting a move, the Chairman in fairness has done little more than mention a possible opportunity that is at best four years away. That is at least three years later than his other snippet, the £150,000 shortfall that our rescuers already seem more than aware of. Without wishing to appear ungrateful, as we doff our caps, two questions come to mind. Firstly will our benefactors continue to drip feed the club on a stitch in time basis via the purse strings of a holding company which will hopefully not turn sour some time soon? Secondly and perhaps most importantly, why is the team not the priority as usual? Hopefully David ‘Reggie Perrin’ Holdsworth will get a timely answer ahead of Saturday’s game against self proclaimed pub side Braintree to allow many disillusioned Imps to change their plans. Surely the Kettering game illustrated that David Holdsworth and our team, continues to be the poor relation in the equation, despite the headline grabbing £500,000 investment in the club. Well £401,000 at best, as Bob is converting an existing £125,000 loan and we are still none the wiser on the breakdown of the remainder of the money. Nor how the holding company make-up will make any future investment easier. Well besides dealing with one voice with golden handcuffs as opposed to a letter to uncle Tom Cobley and all. Perhaps before the Trust transferred £500,000 worth of shares into the great new dawn they might have peered through the mist before they jumped. Then again why bother with so many friendly faces peering back. Because the football team is what matters to Lincoln City fans and Holdsworth has not had the opportunity to even pick two up front for the Mighty Imps that often has he? Look on the bright side – if the fans continue to be alienated at the rate they are – it wont matter when we only get left with a small chunk of any ground sale. Because a little 3-5,000 (once you have placated folk with a little terraced home end) stadium will be more than adequate at this rate. Not that issues like that should concern us, for we are a football club reborn and those nice folk and local community bastions at the holding company will surely plug any gap when it comes up and out of the goodness of their own hearts wont they? Well let us start with a new striker shall we? Start scoring goals and delivering some end product on the field and that £150.000 will surely take care of itself? That, more than the club’s 50% cut of any sale, is surely the central objective at Sincil Bank?